I recently came upon a very interesting idea here. A summer camp for free thinkers. What a concept. I'm constantly asking myself, "Should I go to 'Priesthood Commemoration Campout' with the ward next weekend? Or as it used to be called, Fathers and Sons outing? I love going out the camp ground, to nature, and I love seeing Logan and Hayden playing with all of the neighborhood kids, but I hate the part where they start praising the Priesthood, and even worse when they begin to pull out all of the praise for Joseph Smith. I just want to shrink back into my tent. How many of you would be interested in a Free Thinkers Fathers and Sons camp out? There will be no praising the man, but maybe some excellent stories around the campfire about Charles Darwin, Galileo, David Hume and do fun exercises on thinking. What do you all think? Anybody interested? Or how about our own summer camp for free thinkers. No longer should non-mormons feel left out in Utah County, we could have our own free thinking summer camp for kids. 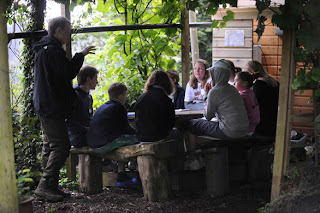 We could invite thought provoking activities, along with fun camping games. It sounds so fun, is anyone interested? I mean, if I were to organize something simple like that, who would be interested in coming? Drop me a line, or place a comment here. I like the idea. My kids and I even have an extra day in our weekend which is not being spent in some local corporation's indoctrination factory. (I realize this comment might come across as harsh, but it was not intended as such). Let me know when and where. They have Camp Quest in the US, too (though I don't know if it exists in Utah). I'm planning to send my own kids there when they're old enough. I think I would be interested in this. This sounds like a really good idea to me! We're just moved to UT from Boise and are very interested in something like this! Sounds fun. I've had a lot of interest for this campout. I've been thinking about Goblin Valley. But instead of Freethinkers Father's and Son's, what about Freethinkers Family Campout. Why should women be excluded? (My daughter loves camping). I think its rather appropriate, leaving goblins behind and all. Its four hours away. I've never been, but I've always wanted to go. I was going to say the same thing about letting the girls come if they want to. If we are thinking about doing anything this year we had better get on it or it is going to get cold. My wife and baby couldn't come, but me and the other two would like to. I'm afraid this is going to have to come next year. I've had to make some financial decisions, and it was between the EXMO conference and the campout. I've been looking for a place to get out to before the cold weather hits. And I've been looking for ways to associate with thinking people. Goblin valley sounds fun. I've been wanting to go there for years. Any of you cry babies ever think of just moving away? There is a whole world outside of your Utah bubble. Maybe then you can get on with your lives and break the threatening ties you have with a church you obviously despise. Yeah, I've thought about it once or twice. But go easy on the name calling a bit there. I wish it were as easy as just moving away.